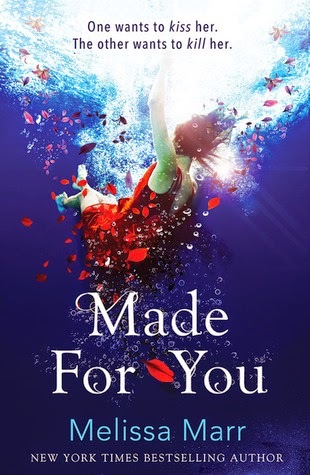 Made For You by Melissa Marr || Come, read this review. Feel the fear. This book was downright terrifying, but before we get into that, I need to mention (quietly) that I do have troubles with this author’s name. What is it with authors liking their names to start with M!? 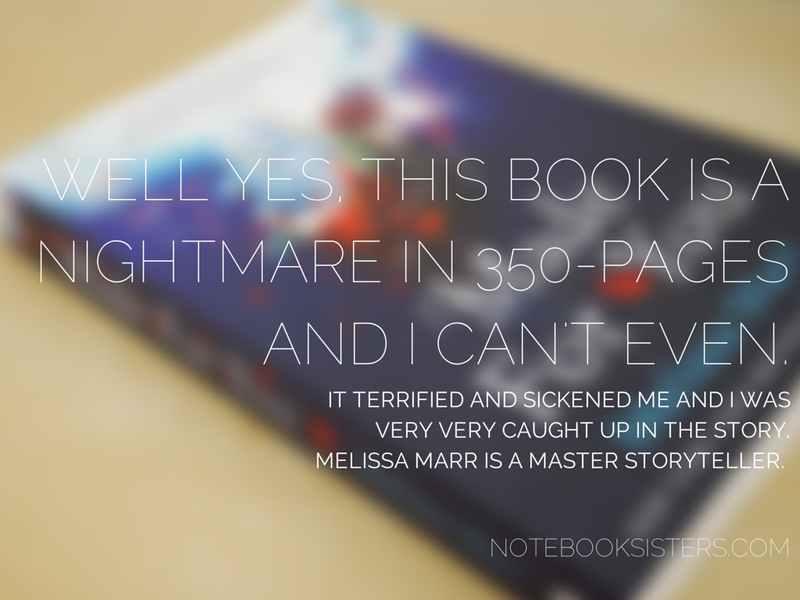 Melissa Marr is not to be confused with Shirley Marr or Marissa Meyer or Stephanie Meyer or — okay! I’ll stop. But my tiny brain is very excited to have now READ a Melissa Marr book (she is quite famous) and (hopefully) will now stop referring to here as Melissa Shirley Marr/Meyer. It happens. * Not that being thought of as crazy is a new phenomenon for me. I like to think 6 crazy thoughts before breakfast each morning, you know. ** This is not a spoiler, but I’ll explain. Calm yourself and give me a moment. Brilliant. Creepy. Disturbing. And fantastically written. What more can you really want? Oh…to sleep at night? Ha! Hahaha ha ha. You’re adorable. It’s really hard to say “I love this book” when it’s about a psychopathic killer. So…just understand that I love the writing, the characters, and the brilliant storytelling behind this…but the actual murders/psychopathic sickness TERRIFIES me. Seriously. I’m so disturbed. The entire book reminds me of Dangerous Girls and Dangerous Boys by Abigail Haas. It’s that level of mind-twisting-phenomenal-plot-but-coincidentally-terrifying. It’s written by 3 points of view. 3) “Judge”, the mysterious killer. All we know is that Eva knows the killer. He’s a boy in her life…so a school friend? Someone she’s met on the street? Someone she hangs out with? WE KNOW SHE KNOWS HIM. But that’s it. He doesn’t give his real name in his chapters. Which is…how do I put this? FREAKING TERRIFYING. Is it her friend? The quiet kid at school? Her boyfriend? Her ex?! Whooooo is it?!!! Okay, I need a moment to scream. Eva is the primary narrator. It’s set in a small Southern town, so there’s a lot of the Southern USA culture there. * And Eva is quite a sweet nice girl, buuuut…not really. She is stubborn. But NICE. That’s a really hard combination and the author nailed it. I liked Grace, but as a narrator, her voice was way too similar to Eva. I had to do double takes to remember who was narrating. The killer was sickening. He had very warped “religious” ideals going on. Just absolutely warped. Every time it was his chapters…ugh. I just wanted to close my eyes. BUT I HAD TO KEEP THEM OPEN BECAUSE I NEEDED TO KNOW WHAT WOULD HAPPEN. Do you see how painful this book is? My face while reading this book. I seriously couldn’t put it down. It’s a thriller and…yes, that would be my heart galloping across the floor to lock itself in the panic room. Disturbing and creepy and well told…I totally recommend it. Thanks HarperCollins Australia for the review-copy! 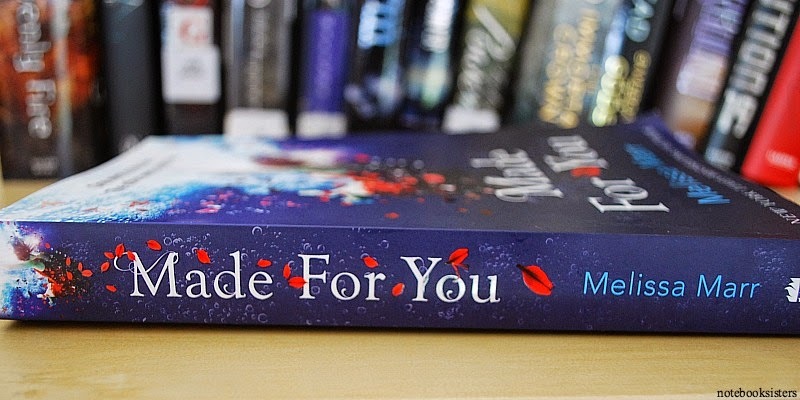 Made For You by Melissa Marr came out 1st of October, 2014.
let us speak of thrillers, my friends. do you like thrillers? (you can totally recommend me your favourite thriller because goodness knows i want to read more of them.) do you like your books served with a huge slab of psychologically disturbing? and is this cover not the prettiest thing of ever?!! Cait has been writing madly this last week, so madly, in fact, that she has neglected her blog quite terribly. She’ll be catching up on comments asap! Currently she’s thinking about drawing and chocolate and art heists (as one does) and trying to processes the catastrophic ending of BZRK, which she just finished on audio. She’ll also be changing her twitter handle to @PaperFury this week so…watch out. PS. I have two giveaways going at the moment for Spark and Masquerade! So enter! Enter! Win! 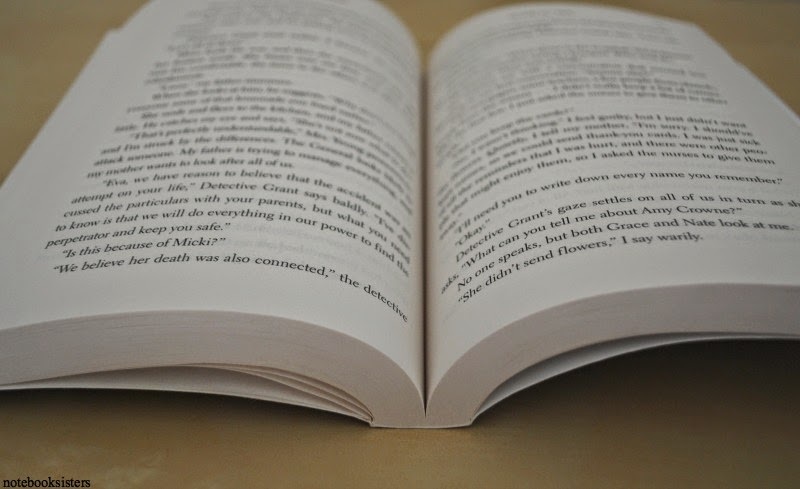 Previous Post: « Beautiful Books Linkup #2: How’s The Writing Going?